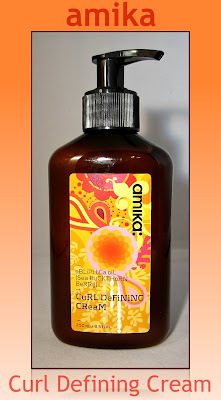 Amika Curl Defining Cream is a lightweight leave-in product that's designed to enhance your curls, leaving them soft and workable without a stiff or crunchy feel. My hair is very fine, and while it is naturally curly, there isn't much of a pattern to my curls. I tend to blow dry it and flat iron it, rather than fight the curls, but this product allows me to embrace the curl with ease. What I like about this product, is that it seems to hold the curl/style well, but my hair is completely touchable without the stiffness that most curl enhancers have. It has a light fresh fragrance, and I only need a small amount to do the job. The first time I used it, I applied a bit too much, which left my hair a little greasy looking. I blow dry my hair with a diffuser until it's almost dry, then I rub the product between my hands and work it into my hair. It does a great job separating the curls, and as you can see by the ingredients, it's also a treatment that adds moisture and replenishes your hair. On the days that I choose to spend less time on my hair, this product allows me that option. My hair looks like it was styled with a purpose, as opposed to looking like I didn't spend any time on it at all. The reason I didn't like to wear it curly in the past is because even though I spent a lot of time on it, I just couldn't get the curls to look smooth and even, unless I piled on a product to the point that my hair was stiff. I think hair should look soft and touchable, and that's what this product provides for me. Sea Buckthorn Berry (Obliphica) Curl Defining Cream with omega 7 + vitamin c tames, separates and smooths for curly, medium to course hair. Free of parabens, silicone and artificial colors. Safe for color treated hair. The Obliphica berry, for centuries renowned for its healing powers, has an arsenal of antioxidants, vitamins, healthy fatty acids, Omega 3, 6 & 9, and the rare Omega 7 (usually only found in fish oil). These potent vitamins combined with the powerful properties of the Argan nut oil, native to Morocco, come together to form a line that replenishes, moisturizes, and brings out hairs natural balance. The Curl Defining Cream especially formulated for curly hair, provides conditioning and smooth separation without weighing hair down. 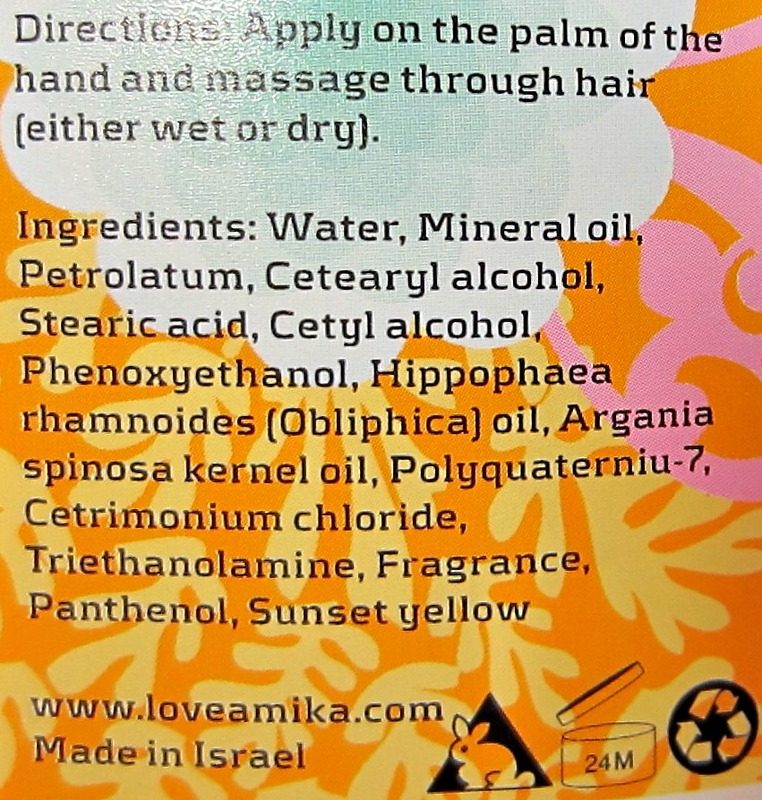 Directions: Apply on the palm of the hand and massage through hair (either wet or dry). 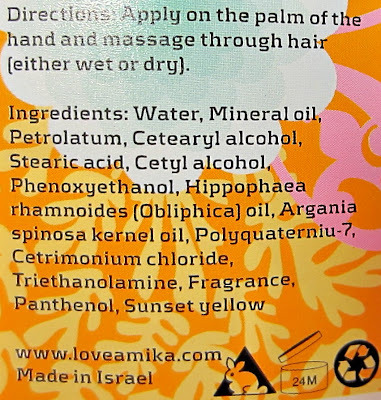 All the products in the line are not tested on animals and are free from any animal derived ingredients. wow, maybe I can try it! It really sounds like something I need to try! I'd love to see a picture of you with your hair curly. My hair has a wave to it. It's just not very well defined.